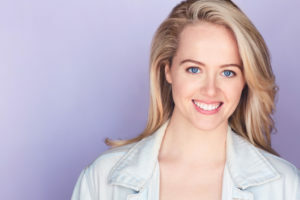 Molly McCluskey is a NYC-based actor and comedian who graduated from the University of Mary Washington with a B.S. in Psychology. While at school, she played for the Women’s Soccer Team and founded the on-campus housing group, The Physically Active Fitness Friends (PAFF). After graduating, Molly moved to China for two years to teach English for the city of Shenzhen public school system, and World Literature and PE at Ivy Elite Education (IEE), the first school in mainland China to offer an American high school diploma. Molly graduated from the William Esper Studio for Acting in 2017 and is a member of the UCB Academy. She loves improv, reading, running, and her five nephews.